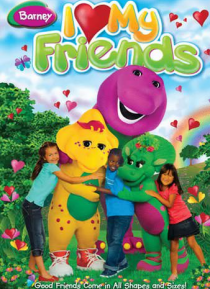 Barney takes his friends on a super-dee-duper adventure that shows just what it means to be a friend. Princess Baby Bop has a royally good time when she sees that a key to being a friend is keeping promises. Riff goes to great lengths to make up for a big mistake and prove he's a friend who sees things through. BJ feels left out when he's not included in a drawing and learns the importance of bein… g honest and expressing his feelings. With singing, dancing and lots of monkey-ing around, Barney brings kids on a friend-tastic adventure and shows that everything is more fun with friends!